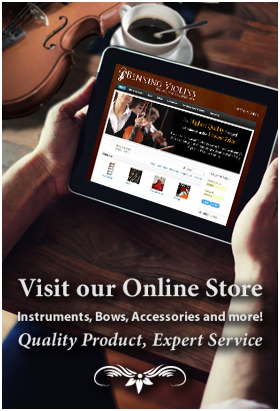 Violinist Carolyn Osborn is a graduate of The Eastman School of Music (BM) and the USC School of Music (MM). 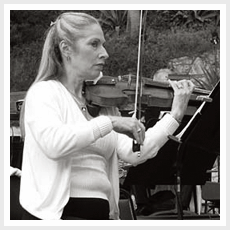 Carolyn has been a member of both the Capriccio Chamber Players and the Vista Piano Trio and she is currently a member of the Cuarteto Ysaye de Los Angeles, the Ariel Ensemble, LuminArias, and a guest artist with the Westlake Chamber Ensemble. Carolyn has been a member of the San Diego Symphony, The LA Chamber Orchestra, and the LA Music Center Opera Orchestra. She is presently a member of the Hollywood Bowl Orchestra and the LA Mozart Orchestra. Assistant Principal Second violin for the Long Beach Symphony and Concertmaster for the Downey Symphony and the San Fernando Valley Symphony.